You might know the old joke about the woman who hears on the radio that there’s a car being driven the wrong way along the motorway near their home. She knows her husband is travelling that road at the same time, so she phones him to warn him. 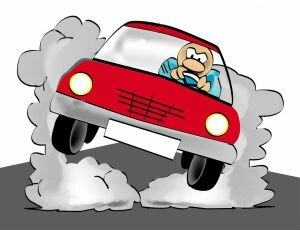 We might laugh at how that man didn’t realise it was actually he who was going the wrong way – but unfortunately, in the online world today, far too many businesses are also going the wrong way. For them, it’s with their Digital Marketing strategies. And there’s nobody blowing the horn or flashing the lights to try warn them of that. Do you have a Web Design that is delivering the return you want? Are you sure your Web Design is pitched in the right direction, and to the right people? Is your Digital Marketing message and strategy properly expressed and defined? If you find yourself saying ‘no’ to any or all of those, then come talk to us. Because we know the secrets to growing your business online – and we’re about to share them with you. We’ve been doing this for businesses just like yours for years, and we can do it for you too. Let’s look at some examples of our success stories. 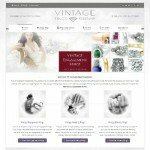 Vintage Rings Kilkenny – The owners of Lorimat Jewellers in Kilkenny asked us to add some products to an existing website and make it more attractive. We instead identified a massive online market for vintage-style engagement rings, wedding rings, and eternity rings, which form a large part of the Lorimat range. Result: A change in focus for the client; an elegant new website design focusing exclusively on beautiful rings; and an immediate upsurge in inquiries once the new site went ‘live’. 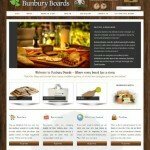 Bunbury Boards – Bunbury Boards are beautiful, hand-crafted chopping boards made from centuries-old Irish hardwood timber. The manufacturers at first focused their Digital Marketing strategy at the restaurant, hotel, and premium domestic sectors. We then directed them toward the huge online market for personalised gifts for weddings and other occasions, and suggested they promote their engraving option to capitalise upon this. Result: An immediate increase of up to 500% in monthly online sales, with the vast majority of purchasers taking the engraving option to present the item as a personalised gift. Contact Us for an in-depth and no-obligation consultation on what exactly we can do for you with our Website Design, SEO Services, and Digital Marketing campaigns.